The Sunshine Coast Turf Club opened in 1985 and has been running horse racing meetings ever since. 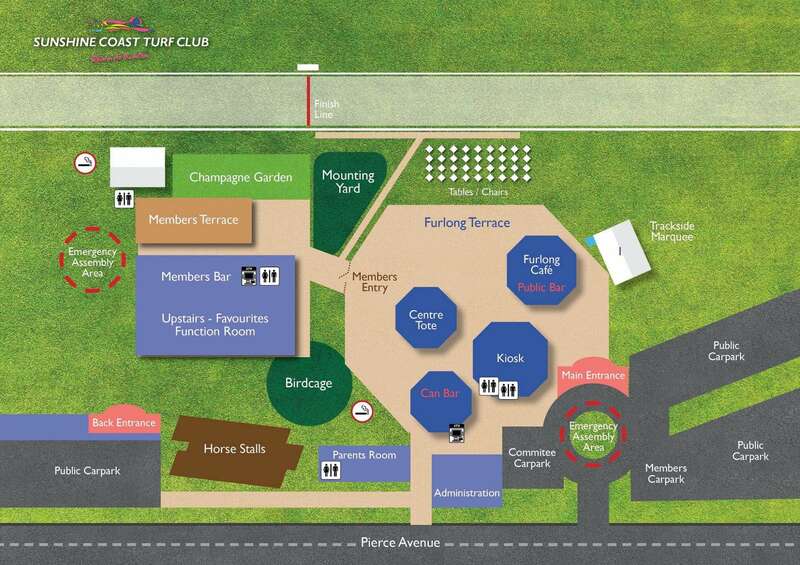 Located in the popular suburb of Caloundra, the Sunshine Coast Turf Club is easily accessible via the Bruce Highway. 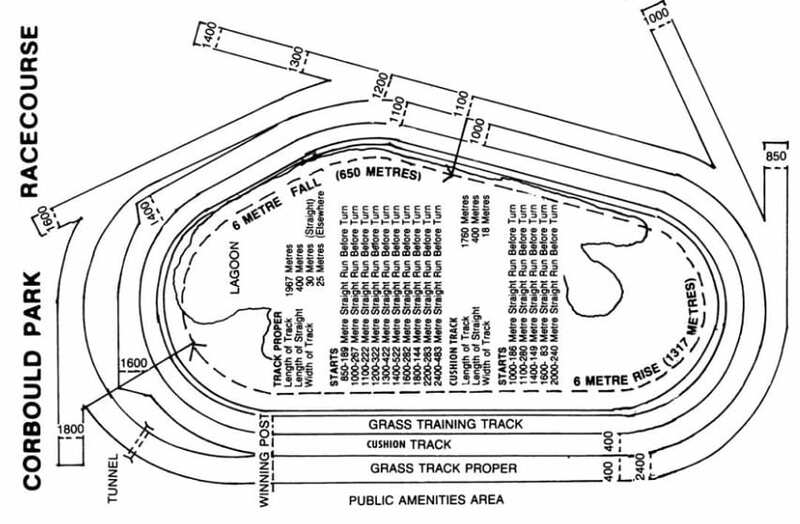 Having an all-weather synthetic track, this race course holds racing events all year round, including Access Insulation Sunshine Coast Cup Day (January), Ladies Oaks Day (May) and Caloundra Cup Day (July). There is a number of race meets held at the Sunshine Coast Turf Club, but none more famous than the Caloundra Cup Day, held in July each year. Those attending this famous race can expect high-class racing with some of the best horses and jockeys from all over Australia. With this race day attracting over 6000 patrons, the Caloundra Cup day is a must-attend event for those visiting the Sunshine Coast in the winter months. If coming to the track on any of the Sunday race days, feel free to bring your kids as there are supervised child minding facilities on site with the Kids Club, which allows parents to drop their kids off and enjoy an afternoon of racing (for children aged 3 – 12yrs). The Kids Club is run by a gold coin donation and is open from 12pm – 4pm every Sunday race meeting. During the school holidays, there is also a free jumping castle! Note: The Kids Club is closed on Feature Racedays, Weekday Race Meetings & Night Meetings. 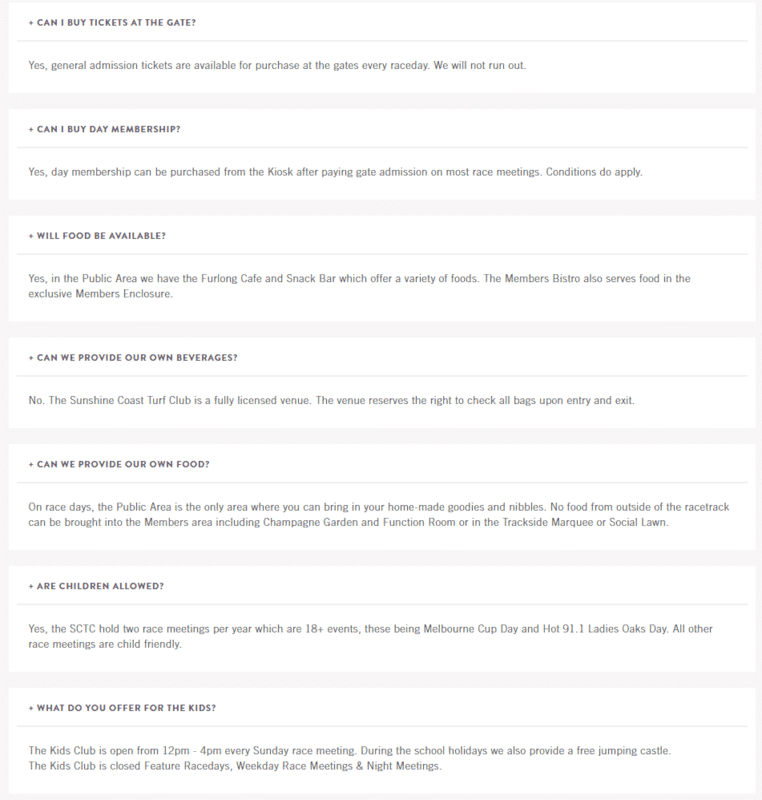 The Sunshine Coast Turf Club holds two race meetings per year which are 18+ events; these being Melbourne Cup Day and the Hot 91.1 Ladies Oaks Day – all other race meetings are child-friendly. Those purchasing tickets to the race days are advised to bring cash as there are no EFTPOS facilities at the admissions gates. There are however four ATM’s located within the venue. Please note that food, beverages and betting can only be purchased with cash. There is ample parking in the main parking area off Pierce Avenue, as well as members parking for club members. 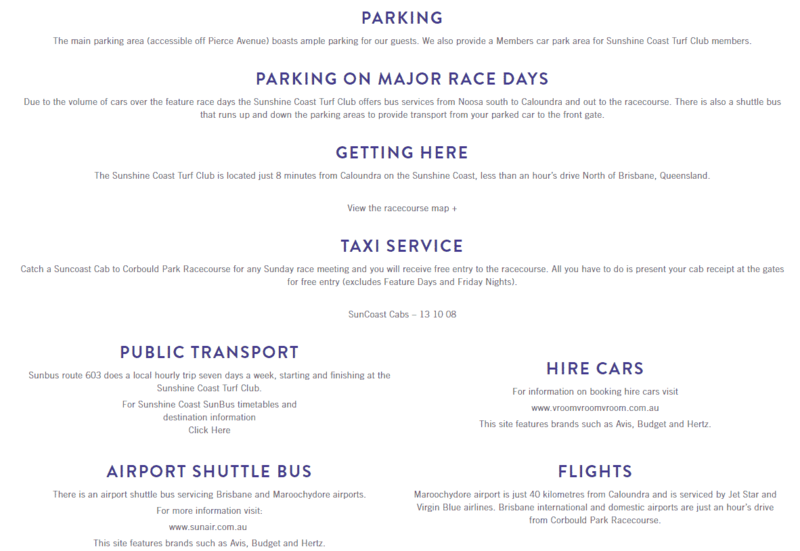 If you prefer to leave the car at home, note that on the featured race days, the Sunshine Coast Turf Club offers bus services from Noosa South down to Caloundra and out to the race course. This is great for those who would like to enjoy a drink or two at the races, without the worry of leaving your car. So come on down to the Sunshine Coast Turf Club at Caloundra and enjoy a day of horse racing. For those looking for accommodation in Caloundra or the surrounding suburbs, click the link below for the best accommodation deals. Is the 24/12/17 & 26/12/17 a feature day or normal day.? Not sure what the difference is between a feature day or normal day. But the 24th of December 2017 is SCTC Raceday with $10 adult tickets and $7 concession. The 26th of December 2017 is the SCTC Metro Raceday with $15 for adults and $10 for concessions. It appears that there is a race day on 10 September 2017. What dates in June do you race? The main event in June will be held on Friday 2 June 2017: Ladies Oaks Day – gates open 10.30am. Other races are held on Sundays (4th, 11th and 18th).